Ever fancied partying with Daniel Negreanu? Well, if you're anywhere near Toronto on August 1 then you could get yourself a ticket to PokerStars' latest VIP Club Live event. Dubbed Daniel's Summer Party, the event will take place inside Toronto's Real Sports Bar and Grill and feature a charity poker tournament with $50,000 on the line. PokerStars Live events are common throughout Europe, but this will be one of the biggest events to be hosted in North America. To give the event some added excitement, PokerStars will be inviting a slew of local celebrities and offering up a bevy of drinks and food. 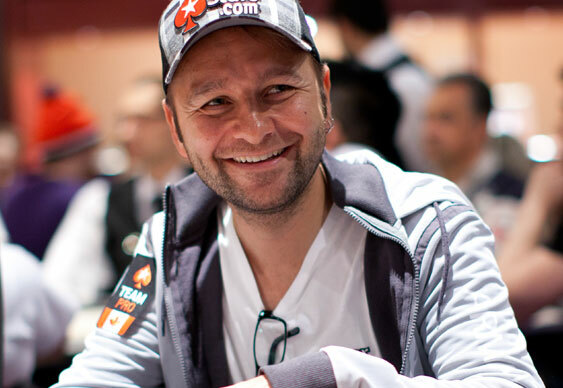 On top of that, one lucky attendee will be given a chance to ante-up and play against the charity event in Mr. Negreanu. As well as announcing his latest PR drive with PokerStars, Daniel Negreanu recently explained that he will be featured in a new poker-based TV show called Four Kings. Announced at the start of June and set to feature the likes of Kevin Pollak (Casino and The Usual Suspects) and Willie Garson (Being John Malkovich and Groundhog Day), Negreanu described the show as a cross between Swingers and Entourage. Although the release date for the series is yet to be finalized, Negreanu believes it will be a hit because it uses poker as a motif rather than a central theme. For anyone wanting to party with Negreanu, tickets for the event can be earned by taking part in a variety of themed tasks. If, however, Toronto is a little too far, then the next European event will take place in Athens, Greece, on September 5.